It is becoming ever more common for adults to fall into the categories of being overweight or obese. If you fall into either category, you may be putting yourself at risk for various health problems. Although we need some body fat for healthy bodily functions such as providing energy and insulation, if our body fat content is too high we may be at increased risk for disease. Health concerns such as diabetes, heart disease and stroke are linked to being overweight and obese. But these risks are preventable with proper weight management. Obesity in adults has been on the rise since the 1980’s. 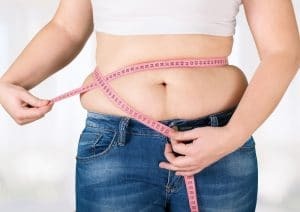 Given the publicity about the epidemic of obesity in North America and elsewhere, people are becoming more aware of how weight can affect their health. If you’re concerned about being overweight, talk to a health professional. The normal weight range for a person depends on various factors. BMI (Body Mass Index) is a measure based on height and weight that provides a standardized index for estimating body fat. This tool can help you determine if your weight falls into a healthy range. How do I Find My BMI? You may be curious to find out if you are among the many adults who fall into the overweight or obese categories. 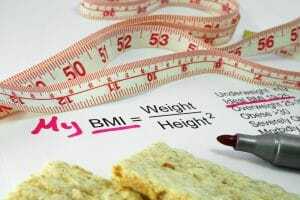 Adults can calculate their BMI by using the following formula. Then divide this number by your height in inches. Take this result and divide it by your height in inches a second time to get your BMI. You can also find your BMI by entering your height and weight into this BMI Calculator. Take a few minutes to calculate your BMI and compare it to the chart below. There are obvious questions that come to mind when you start to pay attention to things like your BMI. Below are some of the most common questions answered. For a more in-depth conversation regarding BMI, or if you think you may be overweight or obese, you should make an appointment with your doctor. If My BMI is High, Am I Overweight or Obese? It’s important to note that a BMI calculation doesn’t measure body fat directly and results may vary depending on body types and builds. For example, adults who are extremely muscular may have a high BMI score when in fact they have a healthy level of body fat. However, for most people, BMI is a good general indicator of body fat. What’s the Difference in BMI Scores Between Being Overweight and Obese? 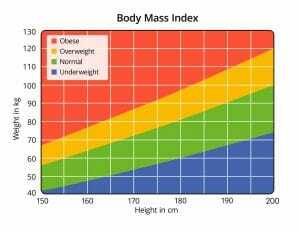 The range that falls into the overweight category on the BMI chart is between 25 to 29.9. If you fall into this category, it’s important to make sure you’re taking healthy steps to maintain or reduce your weight to prevent obesity. A BMI score of 30 and above is classified as obese. This means you are carrying far more body fat than is considered healthy for your height. 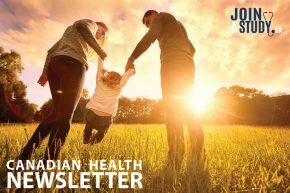 Falling into either category can be a contributing factor for various health concerns including heart disease and stroke, diabetes, high blood pressure, kidney problems, and osteoarthritis. In general, the higher your BMI, the greater your risk. Thankfully with proper care and lifestyle changes, you can manage your weight into a healthy range that works for you. Experts agree that if you keep your body fit and make healthy food choices, many health concerns can be prevented or minimized. 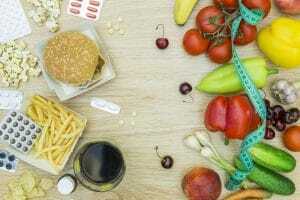 Causes of Overweight and Obesity? There are various factors that can lead to being overweight or obese. However, the main theory is that people become overweight from consistently eating more calories that is used by the body for fuel. In the western world, our diet tends to have a high caloric content in an environment where we are becoming less and less physically active. Weight can become harder to manage as our metabolism slows down with age. Adults who find themselves in the overweight category can easily slide into obesity. That’s why monitoring behaviors that affect health, both physically and mentally, is extremely important. Even a small drop in weight, as little as 5%, can have a positive impact on health, appearance, and self-confidence. Talk to your healthcare provider if you are overweight or obese and want to make a change. If you feel that one of your medications may be affecting your weight, do not stop taking it without first talking to your doctor. Becoming overweight can lead to obesity. Do you know the difference between obesity and overweight? Find out there differences, and learn how to prevent becoming obese and start taking control of your quality of life.